We were a bit taken aback by the way the press in Japan presented this meltdown test JAEA plans to do. On the surface it sounded almost crazy and highly unusual. After doing more research we found that JAEA has done similar tests many times before. 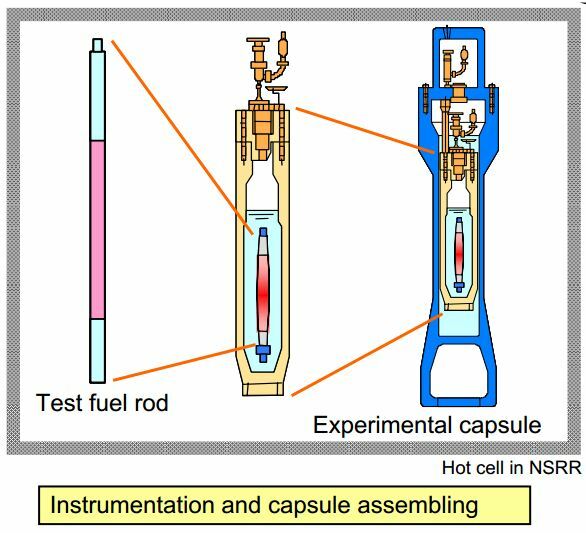 Through a test process JAEA calls “Reactivity Initiated Accident” they have done destructive testing on small sample fuel rod models. By creating a very brief reactivity pulse, a rapid jump in temperature is created giving the instant effect similar to a meltdown scenario. JAEA has done this type of testing many times before. 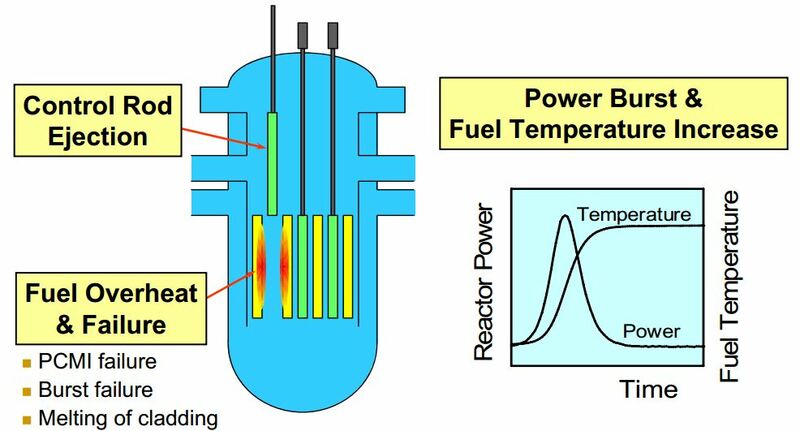 The test would be done in a modified Triga research reactor. These are small reactors used around the world for experiments and research. 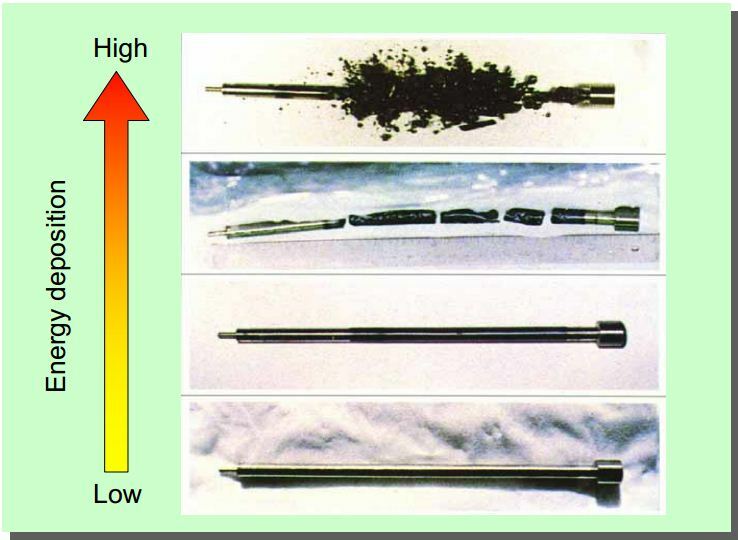 A model fuel rod that represents a single stack of fuel pellets inside a fuel rod is used as the model. The stack of fuel pellets is 110 mm long. This is much smaller than a fuel assembly used in power reactors. The model rod is then put into a double contained test capsule for the irradiation pulse. A newer capsule design was completed in 2007 and is capable of higher temperatures than the original design. JAEA may do the new test with the rod partially uncovered by water. The lower temp tests were done at around 280c. According to JAEA the new capsule can handle tests at a higher temp. The model rods that have been subjected to the destructive pulse can be seen in this photo of previous experiments. The pulse and temperature given to each rod shows that the destruction goes up with the increased pulse & temp. 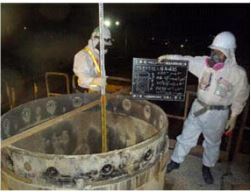 The model rod after pulse irradiation tests would most likely be taken to the Reactor Fuel Examination Facility at JAEA Tokai. 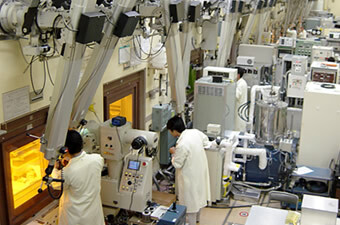 The facility has a large “hot lab” for examining spent nuclear fuel. This work is done within a contained “hot cell” with remote manipulators as seen in the photo below. The experiment sounds pretty crazy on the surface but appears to be within the scope of work done at the reactor and lab many times before.